Happy Tuesday! 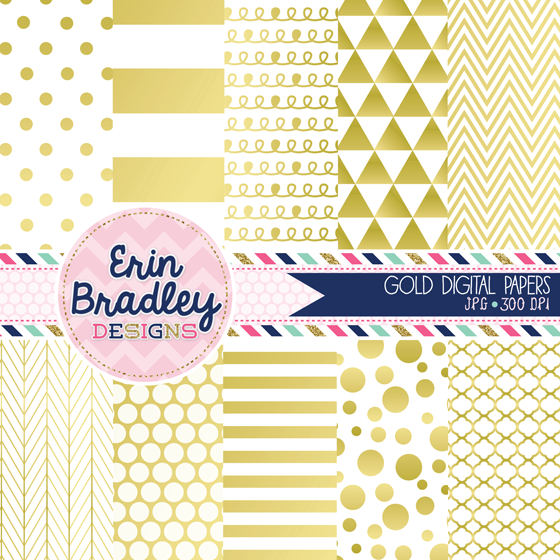 Just added to the website - gold & white digital papers with a digital gold foil effect added to them! The set includes polka dots, stripes, quatrefoil, triangle, herringbone & doodle patterns.